Chevrolet will no longer air one of its latest “Real People, Not Actors” ads after Toyota, Honda, and Ford each challenged the ad’s claims as misleading. The Detroit News reported Wednesday the ad has already stopped airing nationally and will soon cease airing on local stations. Chevrolet came under fire first by consumer groups that declared the ad was misleading, as it cited reliability data from 2015. The data itself came from a Chevrolet-commissioned study by Paris-based Ipsos. The study surveyed owners of 2015 Chevrolet, Buick, GMC, and Cadillac vehicles versus owners of competitor brands. The firm sent out 840,979 “non-sponsored” letters to targeted owners and received 48,679 letters back. “Reliability” was defined as “the percentage of vehicle owners who reported they have not repaired or replaced any vehicle components in the past 12 months (excluding fluids, filters and those related to accident/collision).” Not only was the data used in the commercial outdated, but the sample size was also utterly tiny in comparison to other firms who conduct surveys. In addition, each vehicle surveyed has been refreshed or redesigned since the survey data. To Chevrolet’s credit, J.D. Power did rank the brand higher than Toyota, Honda, and Ford in its 2018 rankings. However, Consumer Reports, which surveys yearly, receives 500,000 responses for models that range from the 2000 through 2018 model years. CR ranked each brand ahead of Chevrolet last year. The report said Toyota, Honda, and Ford each challenged Chevrolet’s ad, and a lawyer for one of the automakers shared the fact it demanded Chevrolet pull the ad by Jan. 14. Chevrolet’s legal department stood by the ad and said it will remain in the brand’s toolbox, but it will be taken down as Chevy prepares to fill its ad space with 2019 Silverado creative instead. “We have not altered our marketing campaign because of any concerns with the accuracy of our ad content,” Chevrolet told The Detroit News in a statement. 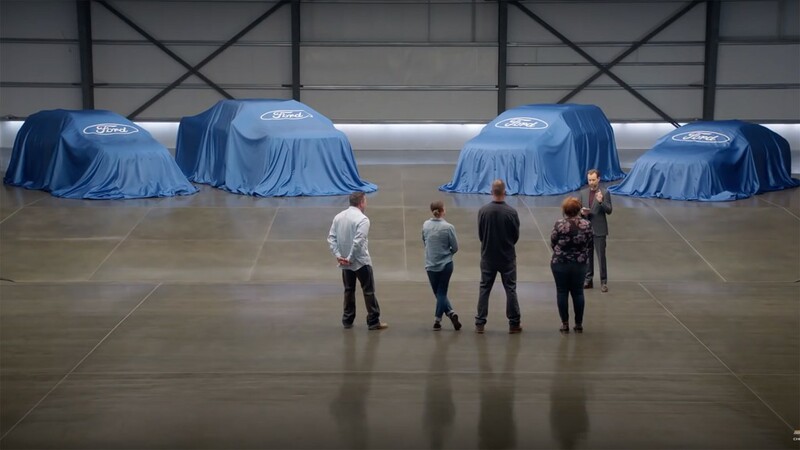 Toyota and Ford spokespersons confirmed Chevrolet agreed to pull the ad, but Honda did not comment outside of the fact it voiced its concerns with the ad spot itself. This campaign is truly an embarrassment, please make it stop. “We have not altered our marketing campaign because of any concerns with the accuracy of our ad content,” Chevrolet told Ha ha! Good grief. Let’s have a survey of those same people in 5 years and see who has enjoyed the most trouble free miles. There’s more than meets the eye here though; the sample size isn’t all that small. These cars were still under warranty, so maybe it is easier to get faulty parts replaced with the other brands because of better customer service and less customer blaming when something goes wrong? GM owners are also more conditioned to issues and wouldn’t necessarily replace parts because of them. That illuminated check engine light, or some intermittent electronic error message is basically standard across the GM range, whereas the same would be unusual, and a cause for concern for a Toyota owner, resulting in a visit to the shop. I’ll keep it low key. No surprise here. Typical. Make a bad situation worse. Please just do away with this “Real People” ad campaign period. The only minds it will change are those deciding to change the channel or put the TV on mute. I really wish these “real people” ads would disappear as a whole. They give as much air time to “competitors” then Chevy cars. To me they are embarrassing for company of this size to be doing ads like this. Is Trump writing Chevy ads now?